The responsibility has increased for rookie inside linebacker Kenny Young. Losing C.J. Mosley to a knee bone bruise during Thursday’s 34-23 defeat to the Cincinnati Bengals created an adjustment for the entire Ravens defense. For Young, it also created an opportunity. If you watched the game, it was difficult not to notice Young. He played 76 percent of the Ravens’ defensive snaps as Young and Patrick Onwuasor became the starting inside linebackers after Mosley left the game early. Young finished with seven tackles, third most on the team behind safety Tony Jefferson (nine) and Onwuasor (eight). However, Young’s impact could not be measured solely with stats. He played with speed and anticipation and was a consistent presence around the ball, particularly in the second half when Baltimore held the Bengals to just six points. The timetable for Mosley’s return is uncertain, and the three-time Pro Bowler will be difficult to replace. But it looks like the Ravens have an intriguing player in Young, one who embraces the challenge of rising to the occasion. Young had two tackles for no gain in the second quarter. In the third quarter, he blitzed up the middle and nearly sacked Dalton. Young chased him to the sideline and hit him as he threw the ball away. Bengals running back Joe Mixon voiced his displeasure with the hit, but the Ravens rookie gave it right back as the two went nose-to-nose. On the next drive, Young shot a gap up the middle to hit Mixon for a 2-yard loss. Young was much more critical when asked to evaluate his performance. “We had a few deep balls that were thrown across the middle,” Young said. “I had a few plays where I didn’t do things the way I imagined I would do. I’m learning, and we’re learning collectively. We have a great veteran group to guide the young guys. Getting better is what Young has been doing since the Ravens drafted the UCLA product in the fourth round. There was an open competition during training camp and preseason between Young and Onwuasor for the starting spot next to Mosley. Young and Onwuasor shared snaps in Week 1, but Young had the bigger impact during the game, tying for the team lead in tackles and recording the first sack of his career. 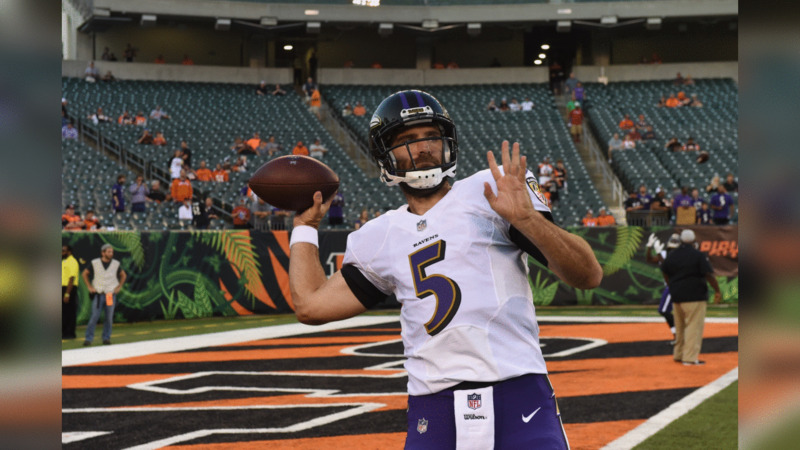 The Ravens struggled in the first half without Mosley, surrendering four touchdown passes to Andy Dalton, including three to wide receiver A.J. Green. The Bengals found success in the middle of the field, and Young can expect offenses to attack him, hoping to exploit his inexperience. “I was a rookie once, and a lot of people were running at me until I proved myself,” Pierce said.  However, Young clearly helped the Ravens’ defense stiffen in the second half, and his teammates liked what they saw. Now the Ravens need Young to make plays. Growing up in New Orleans, Young was a huge Ray Lewis fan, simply because the liked he passion with which Lewis played. Now Young is with the franchise where Lewis built his Hall of Fame career. Young does not expect to play like Lewis, nor does he expect to fill Mosley’s shoes alone. But Young says the defense will not lower it standards without Mosley in the lineup. “One of the things we take pride in this year is depth, guys that can play, guys getting a lot of reps in camp for moments like this,” Young said. “C.J. is one guy, he’ll be fine. The rest of us just have to ball out for him. Check out all the action from the Thursday Night Football Week 2 game.